On the hunt for a used vehicle on the cheap? You’ll find a full lineup pre-owned vehicles for sale near Riverside at Browning Dodge Chrysler Jeep RAM, including 1 used cars priced under $10k. Whether you’re looking for a small commuter, a car for your high schooler, or even an affordable van for a family night to your neighborhood pizza joint, we’ve got you covered. Plus, each of these models has been carefully inspected for quality. So, find out the value of your trade-in online, and then stop into our dealership near Chino Hills to take a closer look at our affordable used car selection. 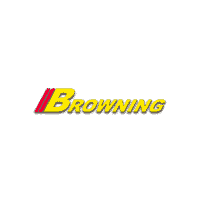 The team at Browning Dodge Chrysler Jeep RAM is committed to ensuring that each of the used cars on our lot is ready to go. Why choose us, though? It’s not just that we have a wide selection and affordable prices. Rather, we’re here to help Chino drivers find the car that works for them. Perhaps that’s why customers appreciate us so much. So, compile your list of questions to ask when buying a used car. Then, contact our dealership to get started in the leasing or financing process!